Mr. Silverman is a partner at Foreman Friedman. He practices civil litigation focusing on the defense of passenger and crewmember maritime tort claims. He also handles complex commercial litigation claims and class action suits. 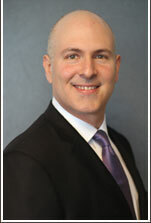 Mr. Silverman has extensive experience in handling passenger and crew litigation matters involving cruise vessels. Before joining Foreman Friedman, Mr. Silverman was with Mase & Gassenheimer.